Today, Wealthfront dropped our investment account minimum to just $500. This post is intended to explain why, and to serve as an open letter to the founders and leaders of the other new startups in financial services. While building companies is difficult, we have to look carefully at what we’re building and ensure we don’t replicate the mistakes of those who came before us. 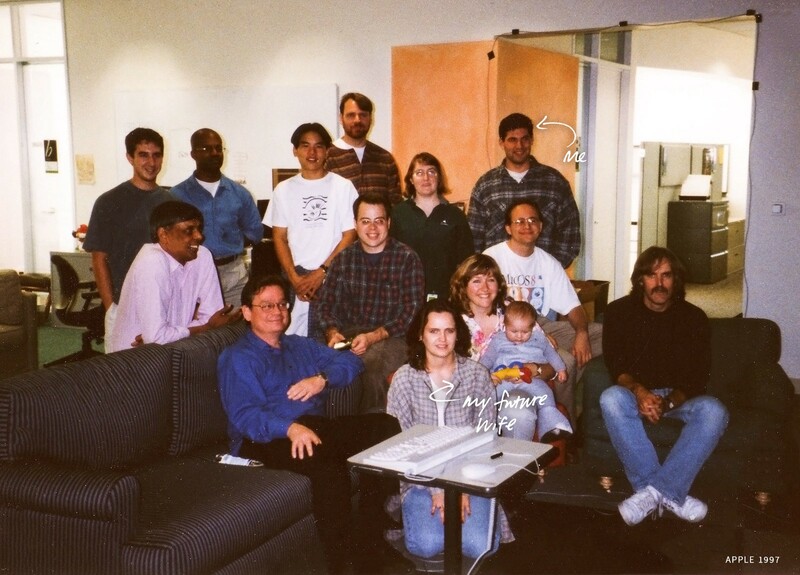 This picture was taken in 1997 at Apple Headquarters in Cupertino (1 Infinite Loop). You can even see my future wife, Carolyn. “The world doesn’t need another Dell or HP. It doesn’t need another manufacturer of plain, beige, boring PCs. If that’s all we’re going to do, then we should really pack up now. This speech stuck with me over the years, and at Wealthfront, it rings even more true. I didn’t join Wealthfront to recreate Wall Street, but instead to change the way business is done in the financial services industry. I’m not naive and know that it is going to be an uphill battle to force meaningful change, but it really is the only company worth building. The world doesn’t need another Wall Street. 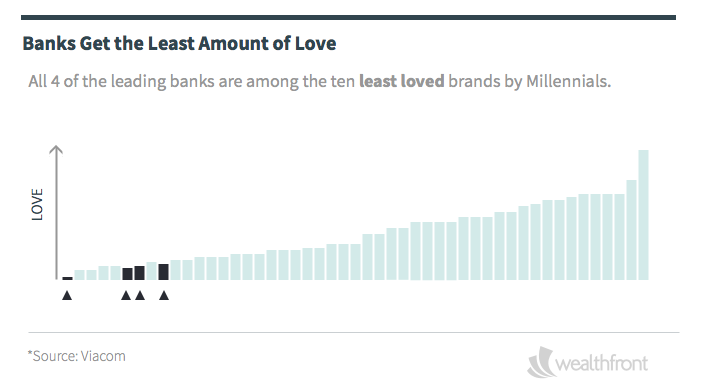 A recent Viacom study of Millennials reported that all four of the leading banks are among the ten brands least loved by Millennials. It’s not hard to understand why, given the way our leading banks have treated young clients. As of 2011, Americans were charged $38 Billion a year in overdraft fees alone. Note that this doesn’t include ATM fees, account ‘maintenance’ fees or others. This is just overdraft fees, and the FDIC estimates that the average overdraft fee is $35. Let’s put this into context. If an overdraft fee were considered a short-term loan with a repayment period of seven days, then the annual percentage rate equivalent of a typical incident would be over 5,000%. That is not a typo. It’s enough to make a payday lender blush. It turns out that checking accounts have a median of 49 different fees that a customer could be charged, and a disproportionate number of those fees hit customers who can least afford it. Sadly, I have yet to find a young client who hasn’t had a terrible experience with bank fees. Citibank charges a monthly service fee of $12 for their basic account, as does Bank of America and Chase. Sure, there is no minimum opening deposit. Why would there be? 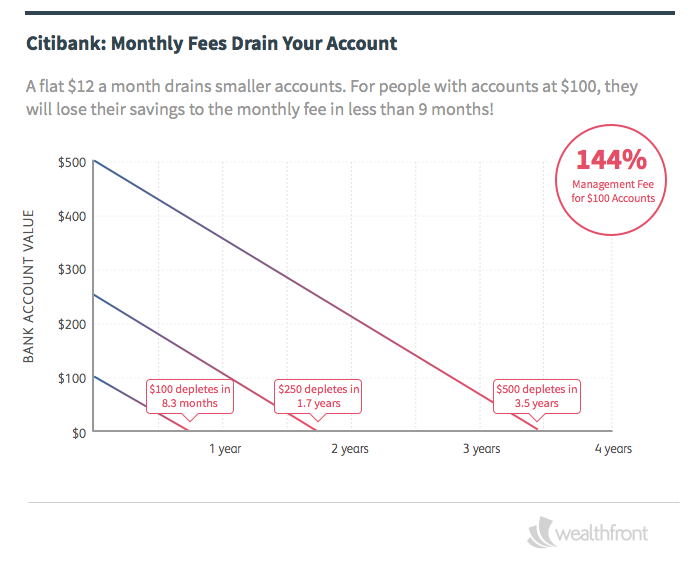 If you open a $100 account they are effectively able to charge you 144% of your original deposit just to keep it for a year. Except you can’t actually keep it for year: it will take less than 9 months for them to take every penny you put into that $100 account in fees. Unfortunately, this isn’t hyperbole. 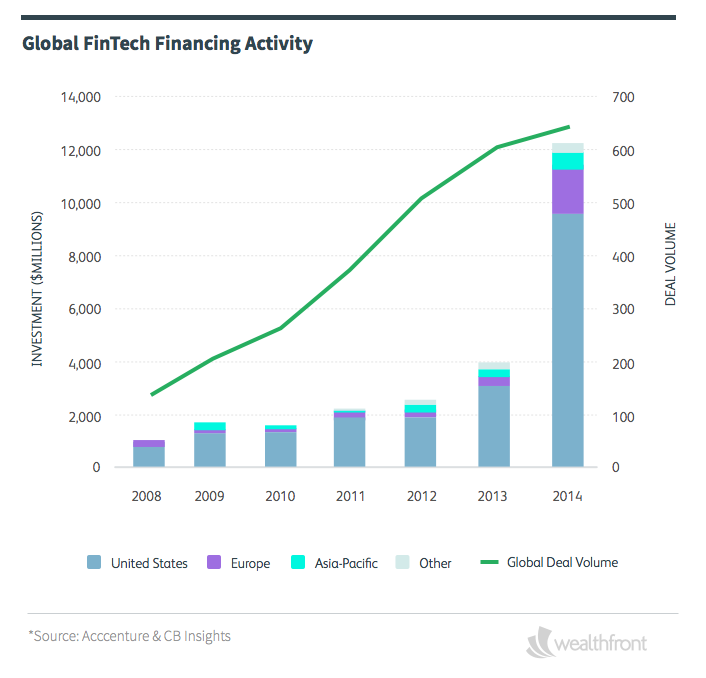 If you missed this story from Wealthfront’s CFO, Ashley Fieglein Johnson, it’s worth reading. Trying to teach her five-year-old son the benefits of saving, she took him to Bank of America to open an account with money he had saved. It turns out that it’s pretty hard to teach a child the benefits of saving when he opens his first statement to find his account is down $12 in one month, thanks to a service charge. The lesson? Never trust banks with your money. How did we get to this place? For the most part, I believe this is an incredibly positive development for the consumer. Hundreds of new companies, armed with new technology, are aiming to build better products and services for audiences that are underserved by the existing industry. Unfortunately, not all new businesses represent a better way of doing business. There are always those who fall prey to the temptation to repeat the sins of the past. This is particularly true for companies with founders and investors who come directly from the existing industry. The biggest sin running rampant across new companies? Exorbitant fees disguised as the “low monthly service fee” for small accounts. They might seem low in absolute dollars, but as a percentage of a new investor’s account, it is devastating. 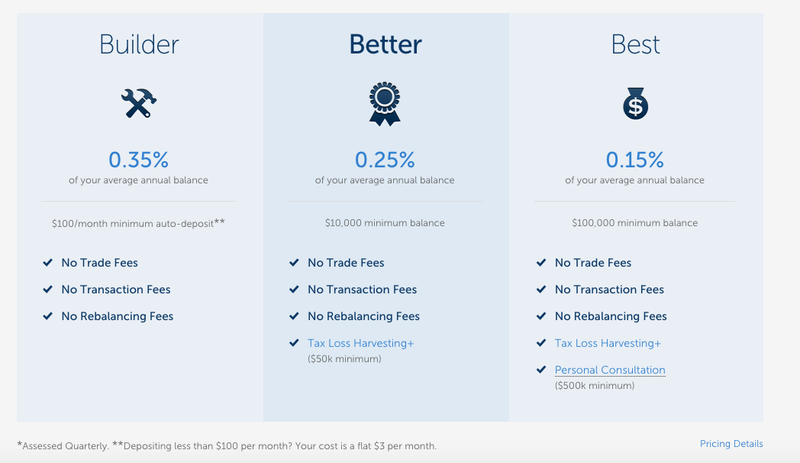 Blooom, for example, a startup providing 401(k) advice, has no account minimum, but charges $1 per month on small accounts. That doesn’t sound like much, but for a new investor with just a few hundred dollars, it’s a significant fee. Since Citibank is an investor in Betterment, it might be inevitable that some of their tricks would seep into Betterment’s service. At $3 per month, an investor opening an account at $100 would be paying an annual management fee of 36% in the first year. In fact, it would be even higher in the second year since the fee doesn’t drop as your account loses value. At $250, it would be 14.4%. At $500, it would be 7.2%. Taking advantage of those that can least afford it is not disruption. It is not innovation. It is worse than payday lending, and it needs to stop. Suddenly, the 1% that traditional wealth managers charge doesn’t look that bad. Why would a new company that professes to help small investors do this? Unfortunately, the answer is simple. Follow the money. During Betterment’s most recent fundraising, I was shocked to learn through investor due diligence that the company brags about how much of their revenue comes from this $3 fee. Almost one-third. It’s really disappointing that Betterment has decided to build their business preying on those who can least afford it. How many Betterment clients are now paying this outrageous fee? 10,000? 15,000? 20,000? Like Schwab, they seem happy to tell their investors one thing, and their clients, another. I happen to believe that Betterment has an extremely talented group of engineers and designers. I have even met some of them. Clearly, this is not what they intended. They didn’t sign up to build a product that will take on a new client, promise them fiduciary service, and then strip their account dry in a matter of months. They thought they signed up to build something different. Unlike the many banks and brokerage firms that came before us, Wealthfront refuses to build our business by preying on clients with small accounts. 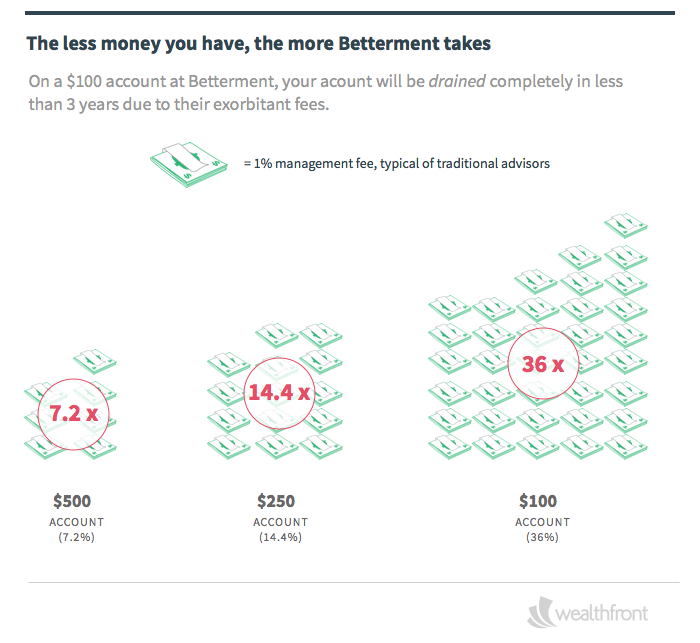 It is why Wealthfront is completely free for investors with less than $10,000 invested and only a 0.25% advisory fee thereafter. We believe that, given a fair shake, people bold enough to scrape together the savings for their first investment account will build those accounts over time. We believe in our clients, and we’re willing to align our future with theirs. This is also why we refused to raise money from the traditional Wall Street firms. The acid seeps in. There is no reason that this new generation of companies has to succumb to this abhorrent temptation set forth by the old guard. It doesn’t have to be that way. Vanguard took the right path. It can be done. Let this be an open call to all the FinTech startups out there. We can do better than this. We have to be better than this. Stop charging monthly fees for small investors. Disclosure: The information contained in this article is provided for general informational purposes, and should not be construed as investment advice.